– Cinda Crabbe MacKinnon, the author of A PLACE IN THE WORLD. JT Twissel, you’ve re-invented the mystery, in a good way. I’m a voracious mystery consumer, JA Jance, Michael Connelly and Agatha Christie to name a few. You’ve taken a fresh, decidedly non-formula, approach to the genre and I was happily surprised with the results. In the novel, smart and cheeky, Flipka, which is a Russian nickname for Twissel’s protagonist, finds herself up to her ankles in teen angst and as she struggles to break free, a mystery unravels that pulls her back, and back. The writing is clean, the story is well-paced and the outcome is delicious. I look forward to reading more from Twissel in the future. Then as the story unfolded I had the definite feeling the plot had been conceived by some method similar to the one I suggest in my booklet “Ideas for at least a Billion Stories” (downloadable free from my website folks!http://bit.ly/1ka0iuM) designed to help writers think outside the box. It certainly makes a change to find a high-flying academic expert on hysteria in the adolescent female and Jungian Dream Theory currently occupied as the props lady for a Los Vegas casino show, nicknamed Flipka by the Russian acrobats (that being “a Russian term of endearment for a difficult broad”). Her talents don’t end there; she also paints Santas and Easter bunnies in store windows. OK, you think, I’ll go along with this crazy plot because the difficult broad certainly has a way with words. Frances De La Tour (wonderful English actress) once said to Alan Bennett (wonderful English playwright) “People don’t actually speak like that, you know”, to which he replied “I know. It’s called “style”. 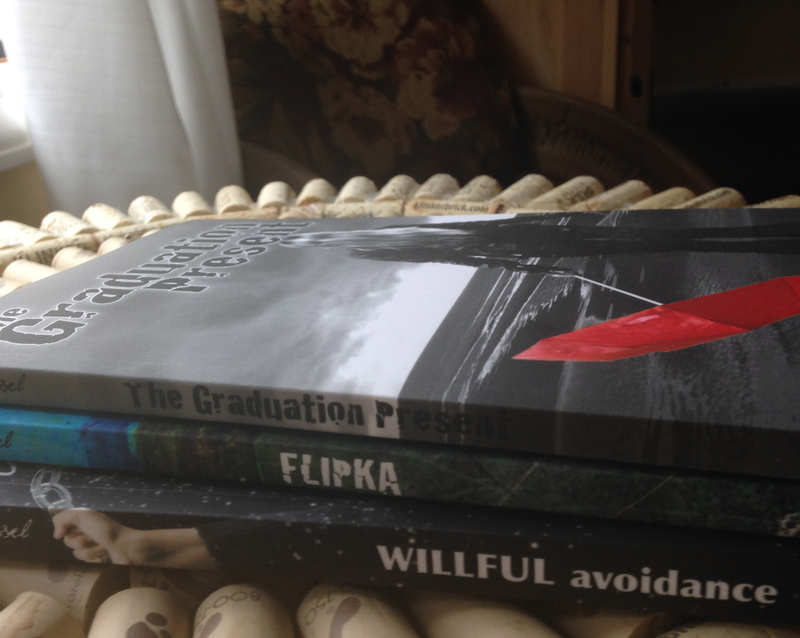 “Flipka’ is the book you need to have with you whenever you find yourself with time to spare such as when stuck somewhere like an airport lounge waiting for connecting flights and you need taking out of yourself. This is not a book you’ll want to put down once you start reading. In drives Fiona Butters, one time psychoanalyst now turned animal trainer working for Mr. Las Vegas himself- whose daughter is interned at the institution. And the fun and games begin, continuing to the last page. The characters, settings and dialogue are all very real and the humour zany in pages of sheer reading pleasure. This is the book you need to take you out of yourself to give you a lift and a smile. I first read early chapters of this book when published on the Internet and have since bought and read the complete and revised version. “This is a charming and unusual book. Rarely does one see a protagonist with as few social skills as Dr. Fiona Butters, former psychologist, now prop queen for a Russian acrobat team in Los Vegas. Which turns out to have absolutely nothing to do with the story, as Fiona goes off to the Eastern Nevada Girls’ Training Facility (Reformatory) affectionately known as Enev, to find out what’s going on with the big casino owner’s daughter, who is one of the “inmates” there. Questions of Satanic worship and secret passages arise, a transformative journal is discovered, tunnels are explored, amnesia occurs… and the FBI, BLM, a crooked sheriff, a quick-switching Warden, and an old WW2 pilot all make appearances in this wacky novel. The ending is a little odd, but then again, between the explosions and the amnesia, surely even that will entertain the heck out of you.